The 28th Baithak on 14 April 2019 in Alt-Treptow will feature Ashraf Sharif Khan on sitar, Sebastian Dreyer on surbahar, Hanna Pashkevich with vocals and on pakhavaj, and Raimund Engelhardt on pakhavaj and tabla. A concert on 31 March 2019 in Niederschöneweide will feature performances by Doron Furman on oud, Raimund Engelhardt on tabla, Mahmoud Ramzani on setar and Alexander Konanchuk on sitar. 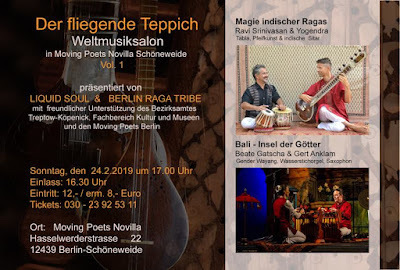 The 27th Baithak on 22 March 2019 in Alt-Treptow will feature violin player Madhuri Chattophadhyay accompanied by Cornelius Hogeweg on tabla, sitar player Alexander Konanchuk and violin player Tove Waldemarson. The evening is being opened by piano player Wolf Geisler. Entry: donation. The International Day of Dhrupad will be celebrated in Berlin on 14 March 2019 in Rummelsburg for the first time. It is celebrated on the occasion of the birth anniversary of rudra vina legend Zia Mohiuddin Dagar. 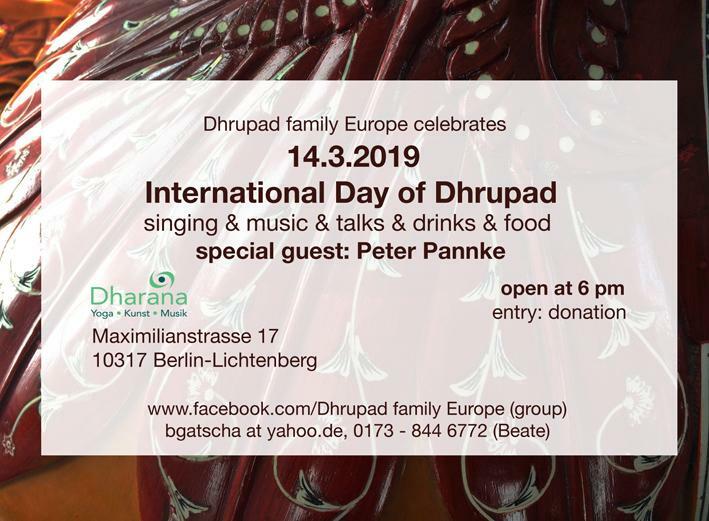 We invite you in the newly founded studio Dharana in Berlin-Lichtenberg for a get-together with food and music, starting at 18:00 hrs at Maximilianstraße 17, 10317 Berlin. 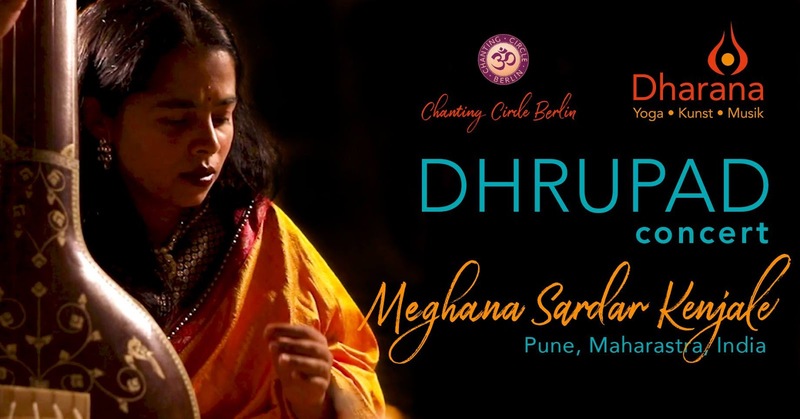 A concert on 8 March 2019 in Rummelsburg, at 19:00 hrs at Maximilianstraße 17, 10317 Berlin, will feature a performance by dhrupad singer Meghana Sardar Kenjale, supported on pakhavaj by Raimund Engelhardt. 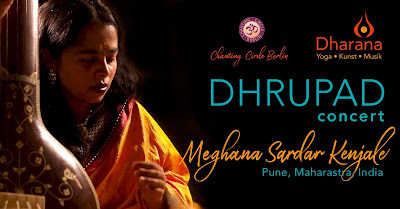 On 9 March 2019 this will be followed by a workshop. No previous knowledge required. 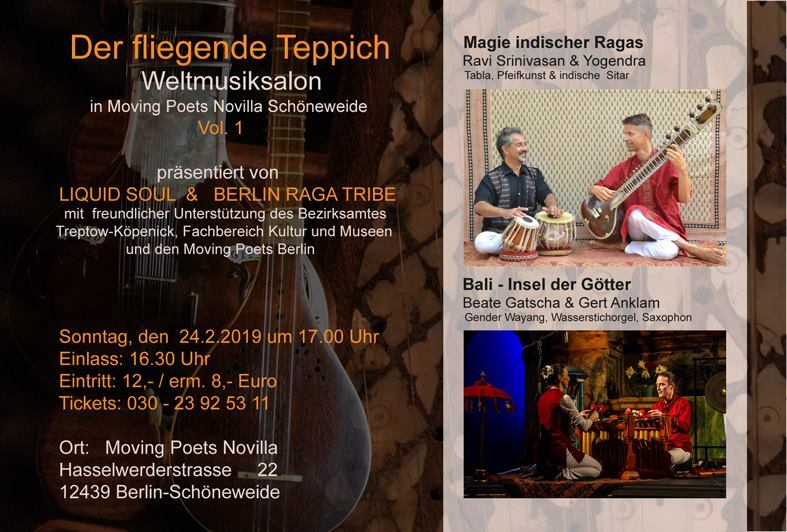 A concert on 24 February 2019 in Niederschöneweide will feature performances by sitar player Yogendra and ﻿tabla player Ravi Srinivasan and Beate Gatscha and Gert Anklam on gender wayang. 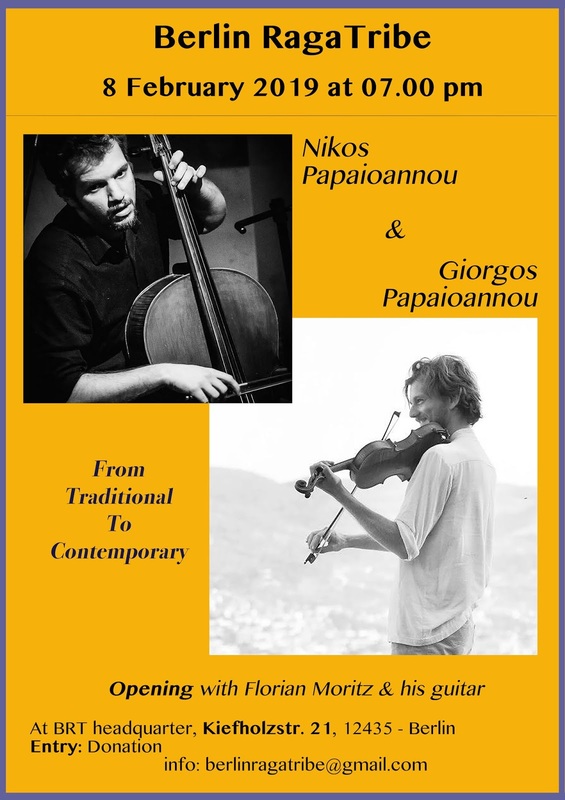 A concert on 8 February 2019 in Alt-Treptow will feature Greek musicians Giorgos and Nikos Papaioannou who will perform a duet for violin and cello. 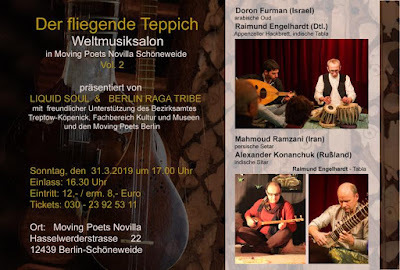 The opening will be performed by Florian Moritz on classical guitar. 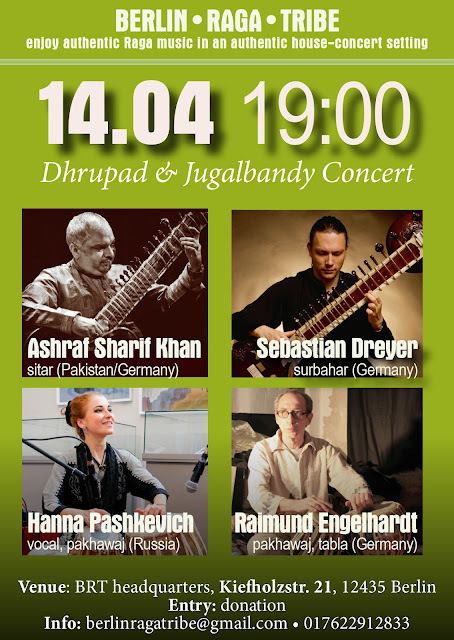 This event counts as the 26th Baithak.